Pies and cookies and cupcakes, oh my! 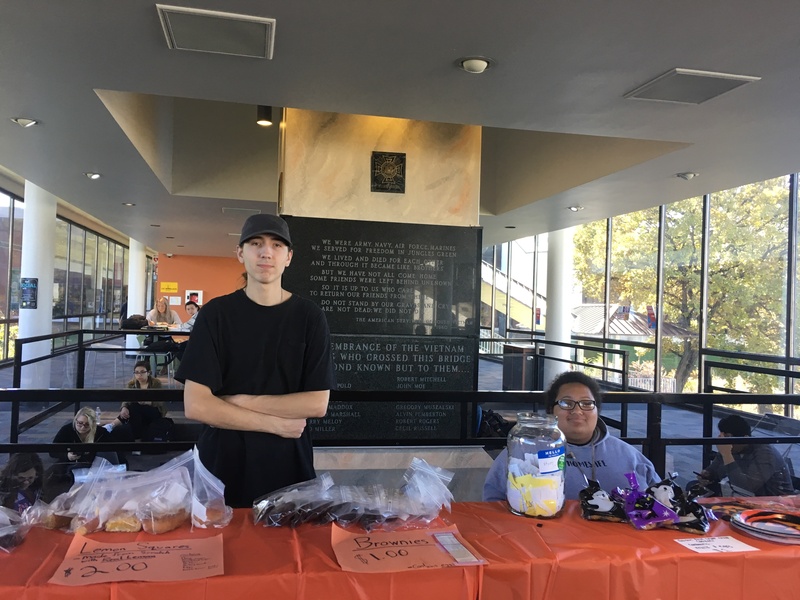 Press Pause held their bake sale on the JJC bridge Oct. 23. They had tables piled high with an expansive array of fresh baked goods that could make any mouth water! “Press Pause is an advocacy group for mental health awareness. We are not a counselling group, we try to educate others about mental health and spread the awareness of it and how it is a problem and what we can do to fix certain problems. 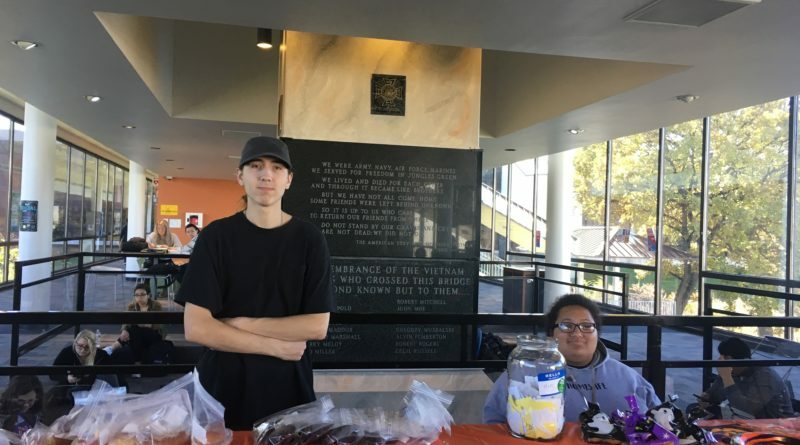 If any student has an issue we help them seek out the right resources.” says dedicated Press Pause member, Joseph Brauer, who was manning one of the tables. 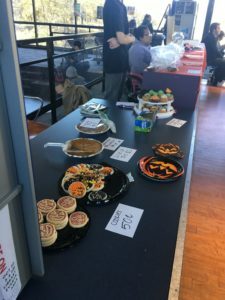 Each member of Press Pause brought something to the bake sale. Whether it was home-made or bought, everyone contributed. “My dad made the pumpkin pie, he makes it every year! My dad is obsessed with fall and I thought it would be cool to share the festivities with everyone else,” Brauer said, motioning towards the slices of pie for sale at $1 each (a real steal for how good it was). Keep your eyes and ears open for Press Pause’s big event next semester and be sure to visit their bake sale next semester if you want some quality desserts! The array of sweets for the bake sale on Oct. 23. Members of Press Pause at the bake sale on Oct. 23.